Prominent & Leading Wholesale Trader from Thane, we offer hand pallet trucks, electric pallet truck, electric stacker, pallet stackers, hydraulic hand pallet truck and chain pulley blocks. 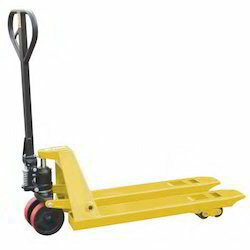 We have emerged as the distinguished wholesaler, trader, importer and supplier of optimum quality Hand Pallet Trucks. 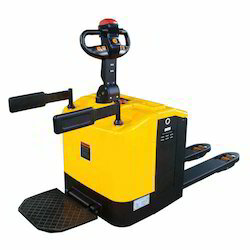 The offered pallet truck is designed utilizing the advanced techniques in conformity with the set market standards. 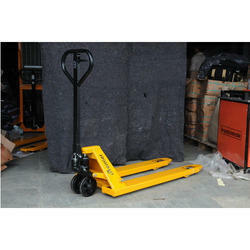 In our wide range of products, we are offering superior quality Electric Pallet Truck. 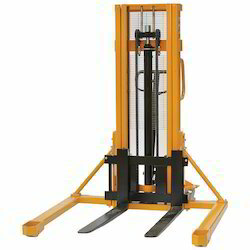 Our prestigious clients can avail from us, an excellent quality array of Fully Electric Stacker. 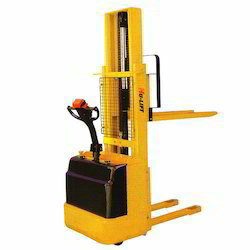 In accordance with the concept of market standards, this electric stacker is designed utilizing the high-grade factor inputs and advanced technologies. Supported by our experts and hi-tech infrastructure, we are giving a most favourable quality array of Pallet Stackers. 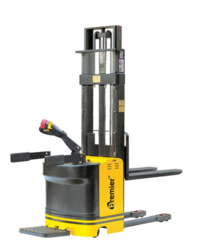 With a thorough knowledge of the industry, we are engaged in wholesaling, trading, importing, and supplying a wide range of Hydraulic Hand Pallet Truck. This pallet truck has epoxy powder coated finish to prevent corrosion & use for loading material, the offered hand pallet truck is provided in various specifications to choose from. 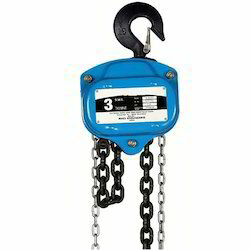 Our prestigious clients can avail from us, an excellent quality array of Chain Pully Blocks. To meet the diversified requirements of our prestigious clients, we are engaged in offering a qualitative range of Pallet Truck. Used to carry bulky material, the offered equipment is designed utilizing the advanced techniques in conformity with the set market standards. Our offered equipment is highly valued by customers for its robust construction, easy operations. In order to serve all needs of our clientele, we provide this equipment in several specifications.